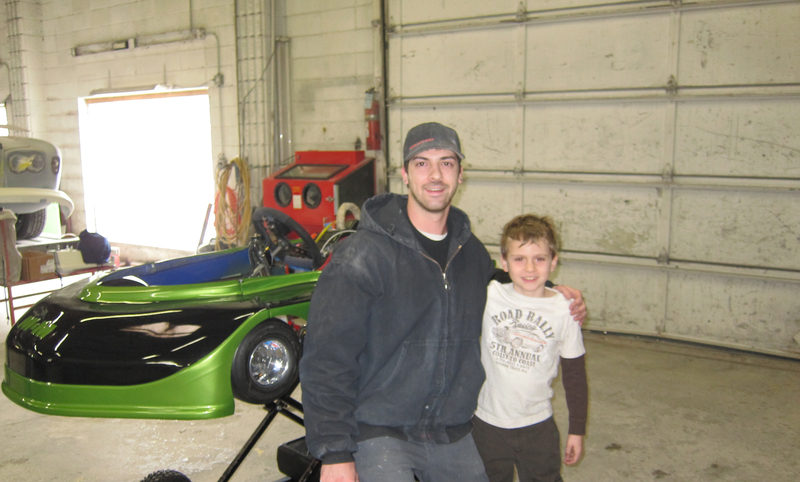 The really big news for Wild Duck Racing is Danrr Auto Body has sponsored the paint on the new kart. 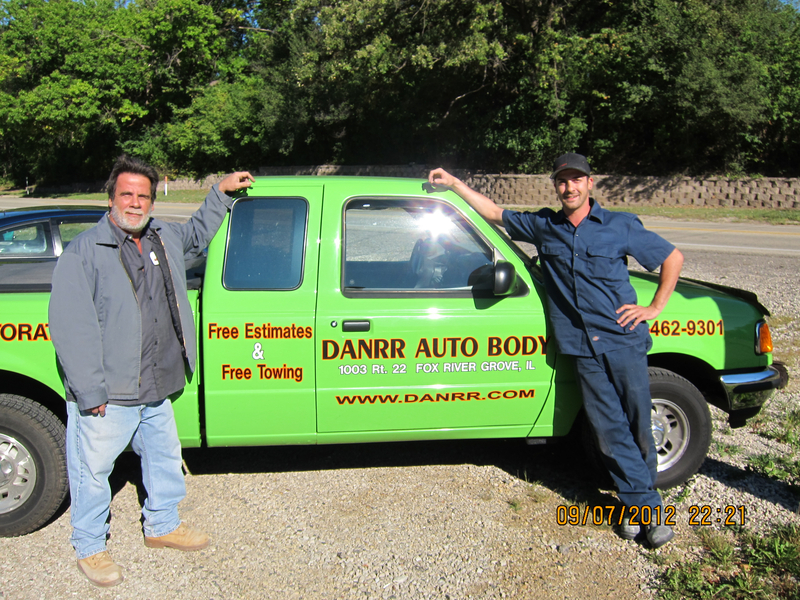 The Danrr family has been in the auto paint and auto business for almost 40 years. They provide professional body work and paint for just about every type of motorized vehicle. 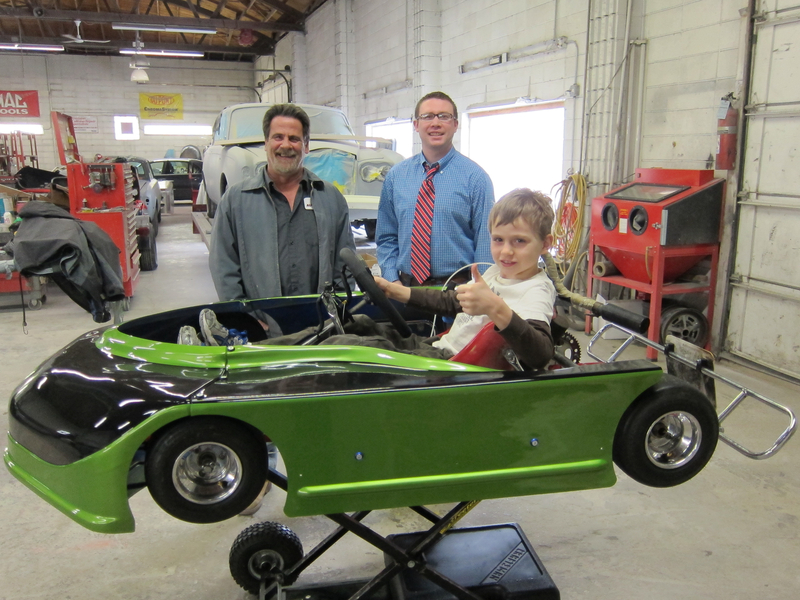 In our visits they have been working on collision repair for insurance companies, custom motorcycle paint, and painting trucks for national and local businesses. 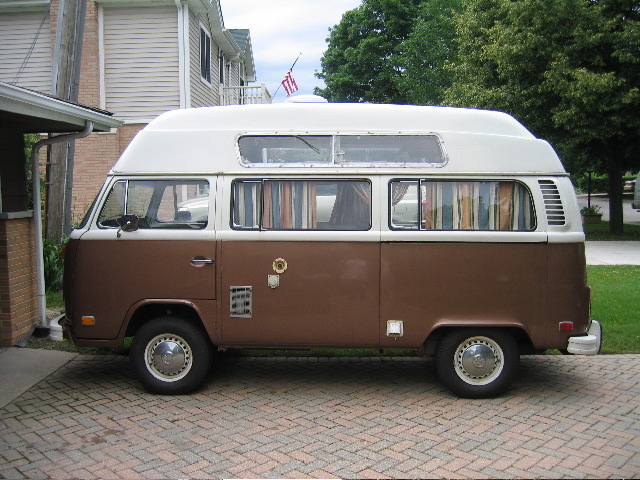 They also work on vintage vehicles, including VW and classic muscle cars. There always seem to be a few classic Rolls Royces in the shop that are being carefully restored to their original elegance and beauty. 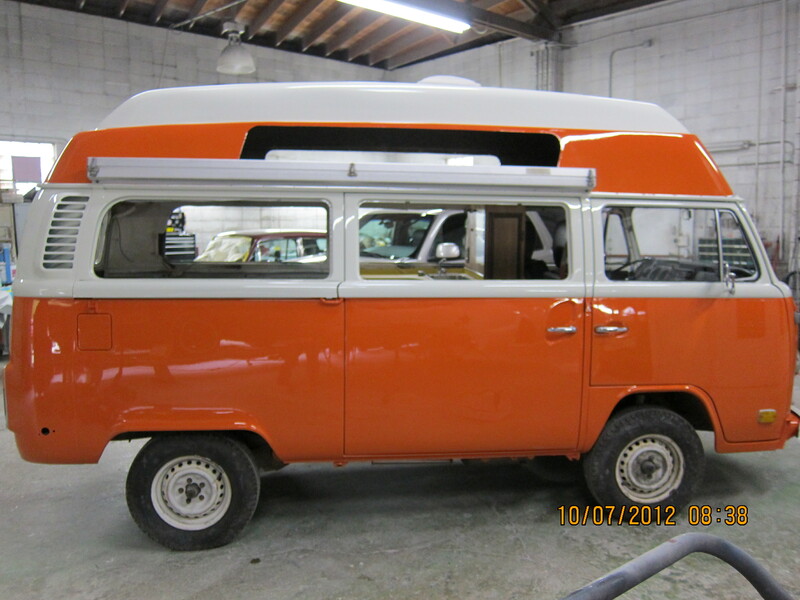 Thanks guys for a beautiful paint job on the kart and on our VW bus. Officially 2013 racing season has started and we hit the track! We broke in Concept Haulers‘ track for the 2013 season with our first practice on March 16. It was really cold, between 32 and 36 degrees, so we were the only ones there. We both put several layers on and Jason had some chemical heaters stuffed in his shoes and shirt for some extra heat. His fingers got a little cold and his arms got tired, but he was quite the trooper running 4 or 5 sessions without complaint. In the photo below there is snow still on the track but not enough to get in the way. On his last session Jason took the pit road which was covered in snow and managed to pick quite a bit of it in his kart. Just a little snow on the monza corner. For the last few months, I going over the chassis and putting all of our electronics, re-configuring the LO206 for the faster class, and generally getting the kart ready for the season. 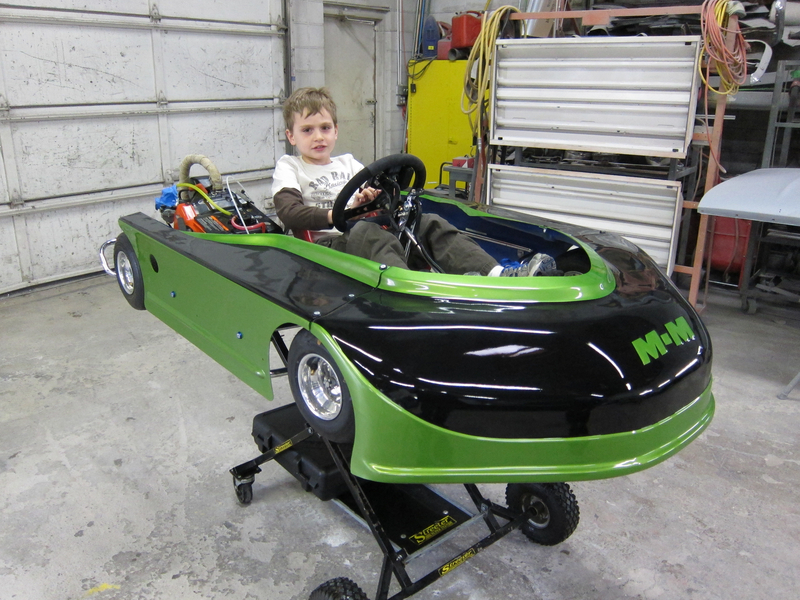 He has had no time on the track since November and only a few hours in the new kart. More worrying is, the first race is now only three weeks away. 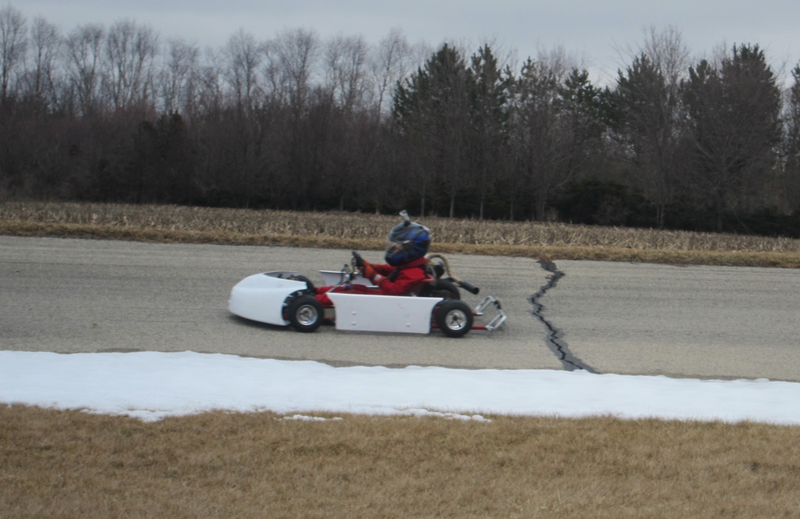 So, despite the cold and the snow, we headed out to shake down the kart before and get his chops back. His times weren’t very good, 1′ 20″ which is almost 30 seconds off the pace, but he is getting working the line. There is lots of room for tuning the kart (mostly getting the gearing right) and he has to work out the timing of the breaks and throttle in and out of corners. The ice cold tires don’t help. Hopefully, he will pick that time up quickly For those interested, there are some videos, Practice 1, Practice 2, Cornering. Thanks to our sponsors, AtomicDecals and Danrr Autobody. Alicia, Jason, Diane and Les for opening the track. And to my lovely wife who commented,”You go to go-kart things and return with meat and cheese”. This entry was posted in Practice, Sponsor by ChiefDuck. Bookmark the permalink. Congratulations on managing to attract a sponsor. It’s always good to have someone to help pay the bills. I wish I could find someone to sponsor my karting efforts but they would only be able to put their logo on my race suit so I’m not sure how keen any one would be. Thanks Tim, I have been enjoying reading about your karting odyssey. Keep it up.